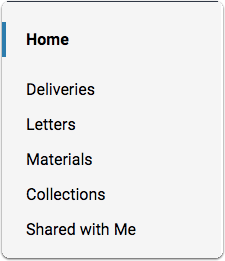 Note that the number of new requests will appear listed on the tab. 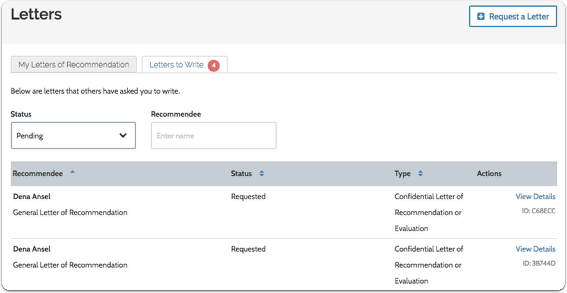 By default, requests that have not yet been accepted, or that have been accpeted but not yet submitted will appear listed. 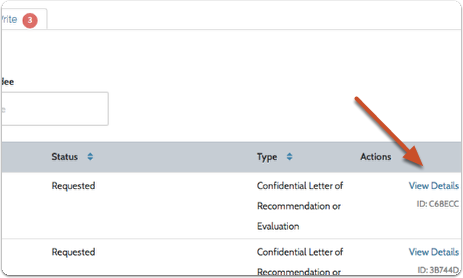 You can filter the list to show all requests, completed requests, accepted and declined requests. 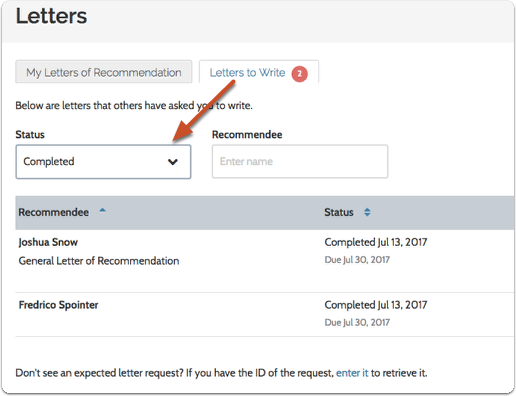 Requested: The letter has been requested, but you have not yet indicated if you accept the invitation to write the letter or not. 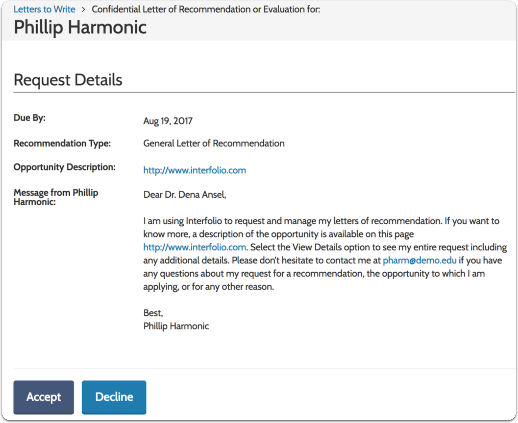 Completed: The letter has been succesfully uploaded to the requester's Dossier. Accepted: The letter request has been accepted, but not yet uploaded. Declined: The letter request has been refused. 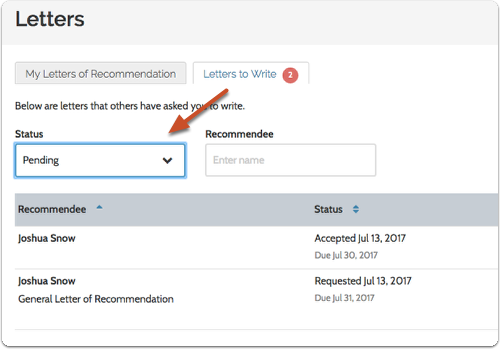 If you have not yet uploaded a letter to satisfy the request, you can click to accept or decline the request. Note the ID number of the request. 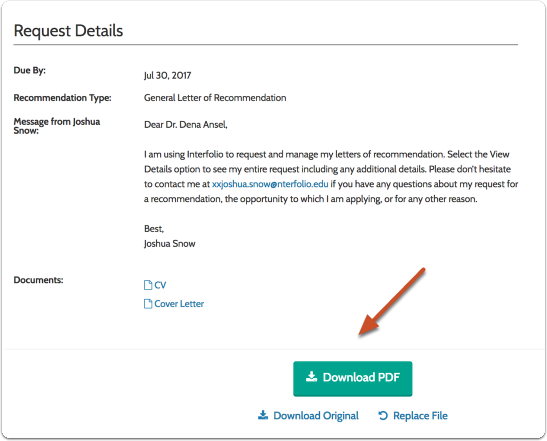 If you need to retrieve a missing request, you can find it using this letter. 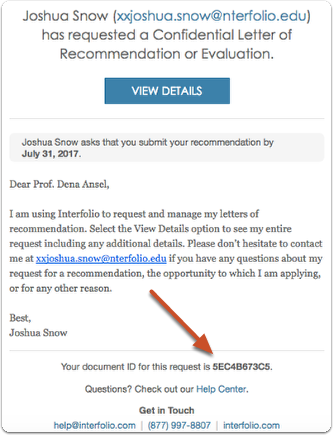 The ID number also appears in your email. 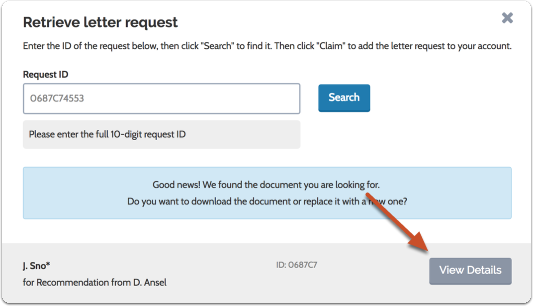 If you expect to see a letter request, but it does not appear, you can search for the request using the document ID number.